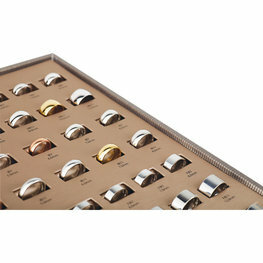 Our classic bands are available in yellow, white and rose gold. We can order 10kt, 14kt or 18kt gold from 2mm to 12mm. 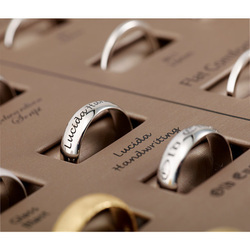 These bands can be customized with engraving, special finishes and laser patterns. Your favorite pieces of jewelry reflect who you are and connect you to special moments with the ones you love. 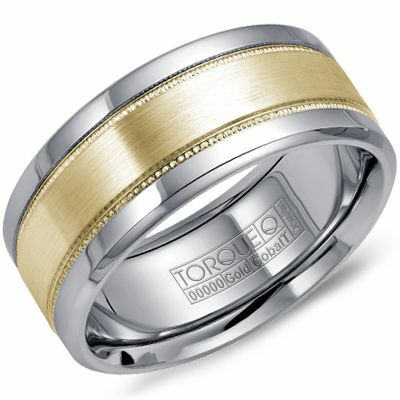 The exceptional combination of precious metals and cobalt forges a uniquely crafted band. The resilient qualities of cobalt provide a solid foundation for the elegance of a precious metal inlay, making these rings one of a kind. Cobalt, often compared to platinum or palladium in color, is a bright white metal that is highly scratch resistant, doesn't chip or shatter and is hypo-allergenic. It looks and feels like white gold, but is a cost-effective alternative. Cobalt neither fades nor tarnishes and can be easily polished using platinum polishing techniques. Cobalt has a rating of 5 on the Mohs scale of gemstone hardness. It is four times harder than platinum and five times harder than gold. The strength of tungsten carbide sets it apart from other metals, allowing it to keep a perfect finish for decades. In comparison, tungsten carbide is four times harder than titanium, five times harder than tool steel and ten times harder than gold or sterling silver. Shaped from extremely high density and temperature resistant materials, tungsten rings are among the most durable in the world. While gold and silver are easily scratched, your tungsten ring will look as new as the day you bought it fifty years from now! Titanium is a lightweight metal that has good strength, excellent resistance, and won't tarnish or rust. It is a lustrous white color when pure–almost resembling sterling silver. It won't cause irritation or discoloration of the skin, making it ideal for sensitive skin types. 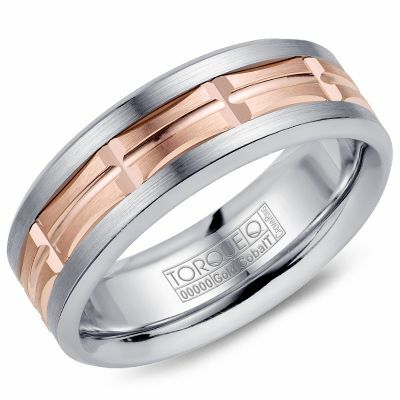 The weight of cobalt bands falls between tungsten and titanium bands. Cobalt is heavier than titanium but slightly lighter than tungsten. As a result, the bands are extremely comfortable to wear. Cobalt bands are incredibly hard and provide an unyielding strength. Because of its tremendous strength, these bands are shatterproof and will not crack.